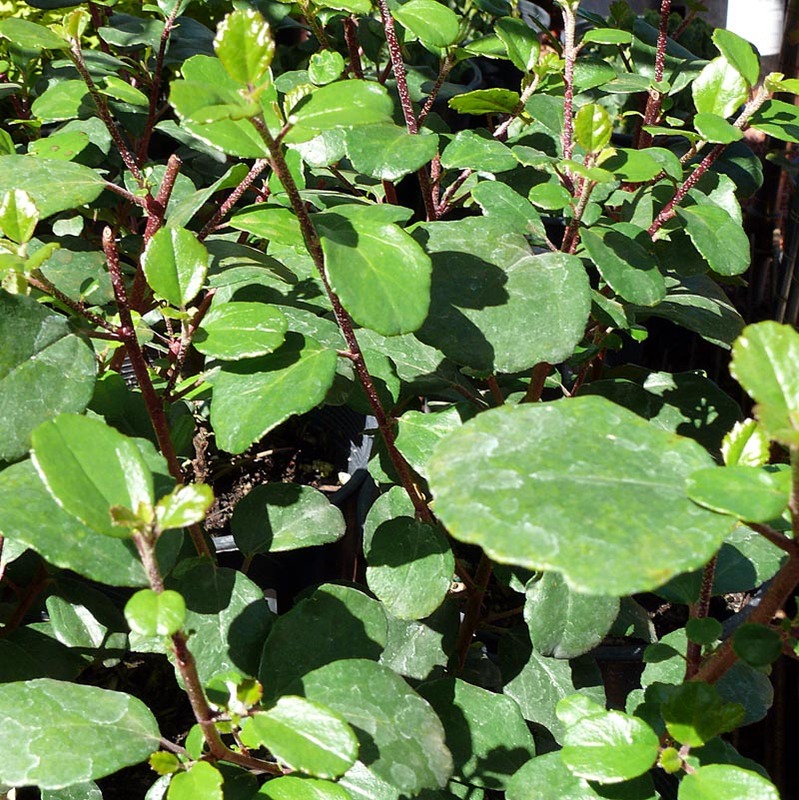 Dark green, heavily scented foliage with red stems. 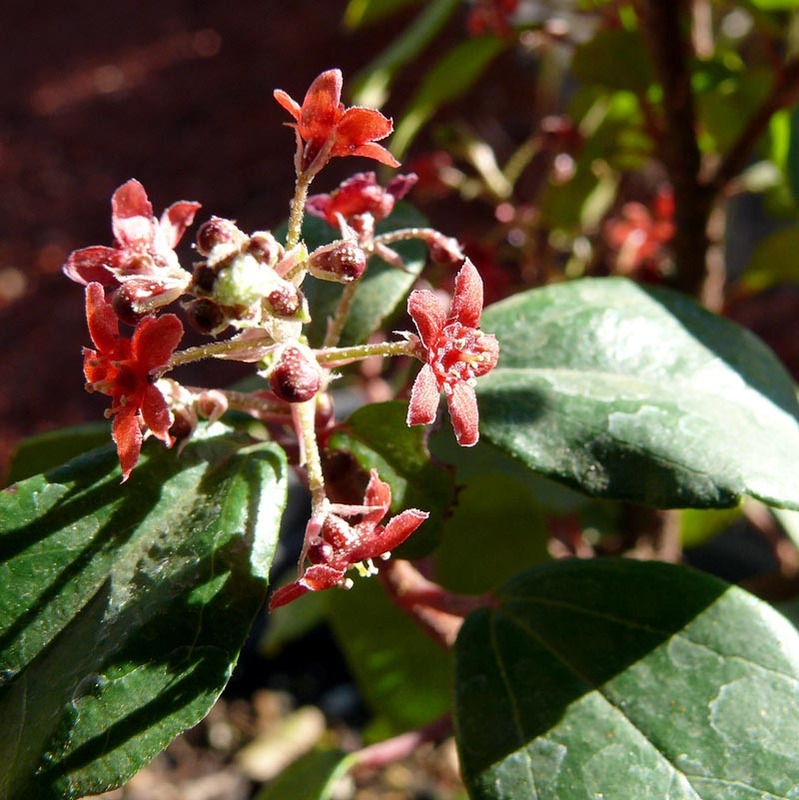 Tolerates clay soil. Semi-deer-tolerant. Edible fruit.